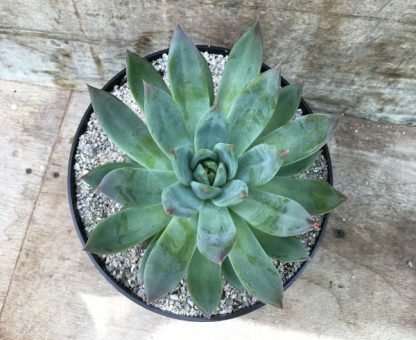 This beautiful Echeveria was showcased on BBC Gardeners world in May 2018. 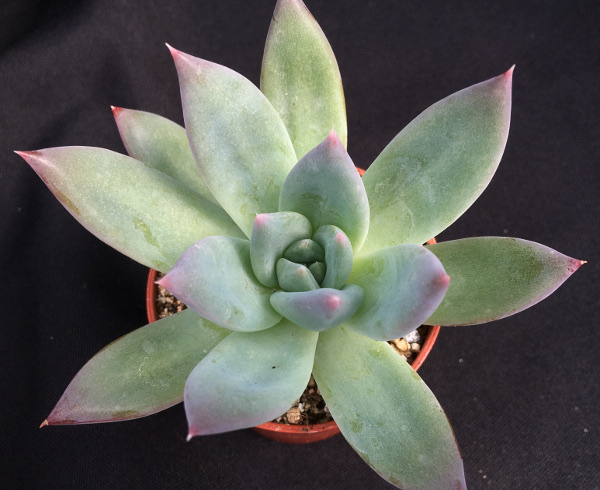 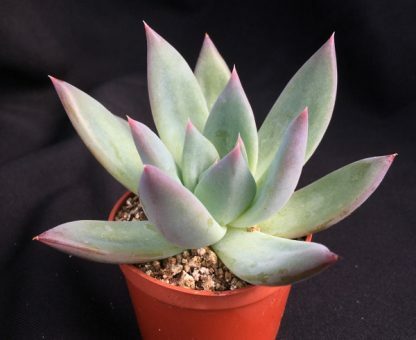 The delightful Echeveria cultivar, it is a cross between Echeveria ‘Mexican Giant’ and Echeveria affinis. 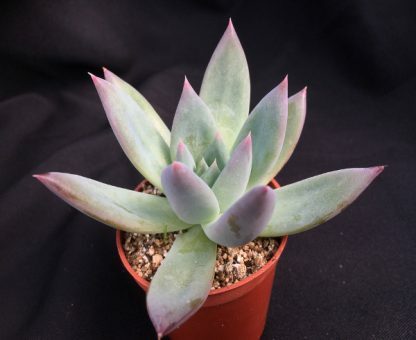 The leaves have a lovely coating of white powder known as bloom, and if rubbed reveals a darker leaf underneath. 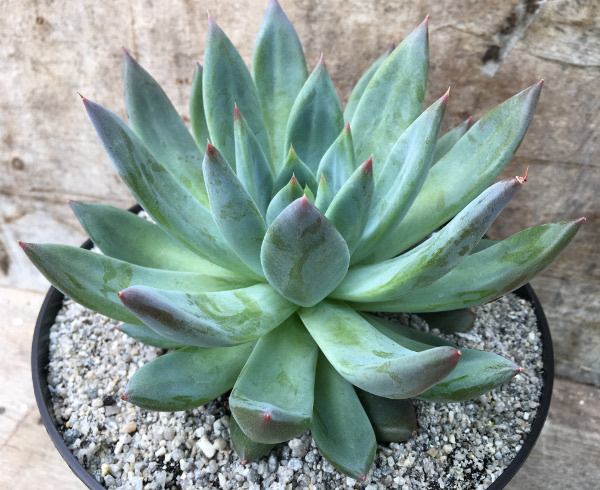 It’s a quick and strong grower and one of our most prized new cultivars, there’s nothing like this in the whole collection, you won’t be disappointed. 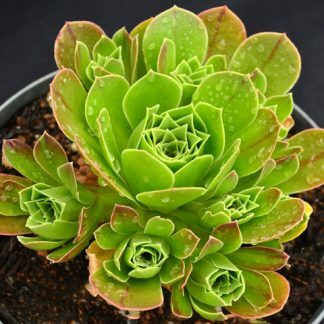 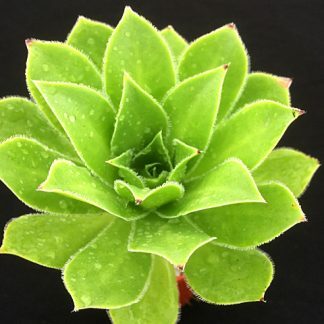 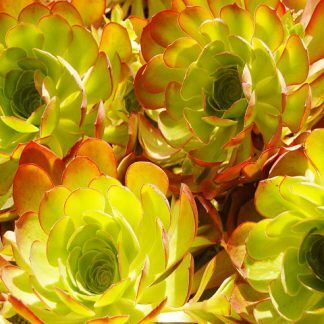 It Makes a beautifully potted succulent for a windowsill and produces vibrant attractive flowers during the summer.